Do you know what Memorial Day is? I mean beyond a day off from work, picnics in the park, traveling to see family? For the complete history please click here: History of Memorial Day. Memorial Day was officially declared in 1868. It was a day to remember our civil war dead, on both sides. It began in the northern states, beginning with New York, but eventually the southern states joined in. It has evolved throughout the years to include all of our war dead from all wars. This is a day to honor those brave men and women that made the ultimate sacrifice for all of us. The “price of freedom is seldom free”. Will you find the time to go and clean up a gravesite of one of your local fallen solders at a local cemetery? Perhaps place a flag? I know I have never done this. But I know that this Memorial Day, I will. I will go to my local VFW post and find out what I can do to honor them. It’s only one day. This is not “my” holiday, to do with as I choose; this is their holiday, to honor them. Just a small way we can all observe this holiday is by following the "National Moment of Remembrance" resolution that was passed on Dec 2000 which asks that at 3 p.m. local time, for all Americans "To voluntarily and informally observe in their own way a Moment of Remembrance and Respect, pausing from whatever they are doing for a moment of silence or listening to "Taps." When I read what the Sentinels of the Tomb of the Unknowns do each and every day, a moment of silence just doesn’t seem like enough. "Soldiers never die until they are forgotten. Tomb Guards never forget"
Somehow a few flags on a few graves really don’t seem like much of an imposition. Thanks for taking a moment and remembering our Vets. WIN $100 WORTH OF FREE PRINTING PRODUCTS!!! Take part in the Memorial Day Trivia Contest. It’s fun, easy, informative and you will learn interesting facts about this historic holiday. How many pictures do you have on your hard drive right now? Hundreds, maybe thousands just sitting in the computer bringing joy to nobody. How many of them are of your family? How many times has your mother or grandmother asked for more pictures? I know I am awful when living up to these requests. I have the most wonderful photos on my hard drive right now that my relatives would love to see. I don’t even have the excuse I used to have. No time to take the roll of film to the local store for processing. I have no excuse, none whatsoever. Mother’s day is coming and my mother is far away. I could e-mail pictures, but by the time she downloads them and prints them out, I really haven’t given her much of a gift at all. Just passed along my chore to my dear Mother (or Grandmother). What she really wants is photos that she can pull out of her purse and show her friends. Beautiful 3” X 5”, 4” X 6” and 8” x 10”s photos that Mon can proudly display on her table tops and walls. This year I will do more than send flowers and a card. This year I will take the time to print out those pictures that she would love. This year I will put them into an album for her to show off. This year I will take the kind of time she has always taken for me. This year I will give her a gift from the heart. Give your Mom or Grandmother a gift from the heart. Find all the supplies you need to create your own gift at Priceless Inkjet Cartridge Company . 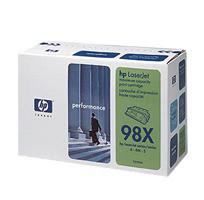 We have all the quality ink and paper products you need to make this Mother’s Day special, and with our competitive pricing, you can print as many copies as you need.